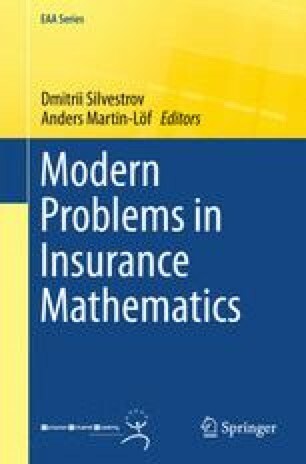 In this chapter we investigate the asymptotical behaviour of ruin probability in a classical compound Poisson risk process associated with perturbations in the claim size distributions and/or other parameters of the risk process. The novelty of this study is that we consider non-polynomial perturbations which include the standard polynomial perturbations as particular cases. The aim of the study is to develop exponential asymptotical expansions for the ruin probability as the initial capital goes to infinity and the perturbation parameter goes to zero, simultaneously but in a balanced manner. Numerical examples of risk processes with such type of perturbations are also given for illustrative purposes.